Whether it’s spending a quiet week with close family at the shore or hosting an extravagant beach party, from the moment you walk through the front entrance of this gorgeous oceanfront masterpiece, it will capture your spirit and take you to your own PIECE OF HEAVEN. Elegant interior décor, including custom drapery and elaborate wall finishings, can be found in each and every room of this 6 bedroom, 6 ½ bath reverse living home. A large gourmet kitchen, a three stop elevator, a private den/media room, a large 3 car garage, and his and hers separate exquisite full baths off of the Master Bedroom, are sure to delight you and your guests at every turn. 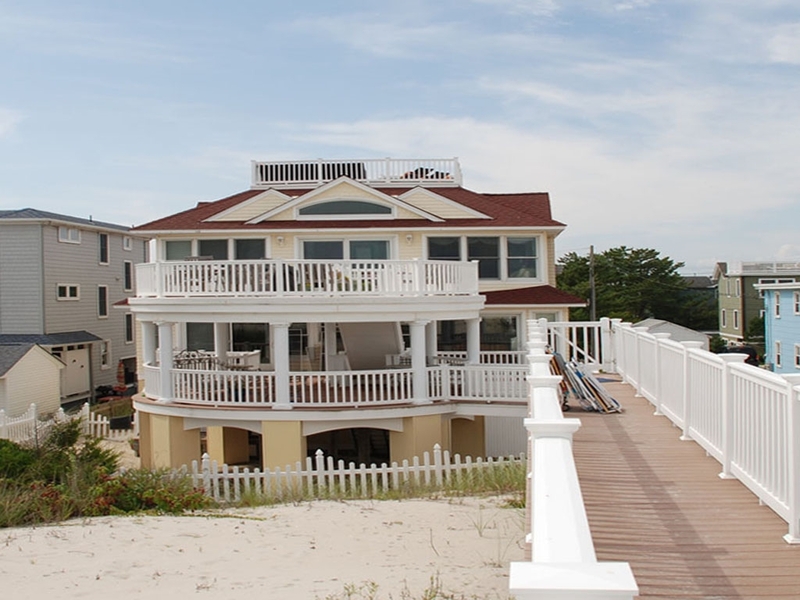 Add a private dune walkover to the beach, stunning panoramic views from the roof top deck and you will never want to leave this amazing one-of-a –kind property located in the heart of Surf City.